Commissioned by the Mariinsky in 2002, 'Cinderella' was the production that launched choreographer Alexei Ratmansky onto the world stage. Filmed in 2013 and now released on DVD and Blu-ray for the first time, the production stars one of the foremost prima ballerinas in the world today, Diana Vishneva. Recently described by The Telegraph as being "as close to physical and technical perfection as it is possible to be", Vishneva delivers a dazzling performance, and is conducted by leading Prokofiev interpreter, Valery Gergiev. Ratmansky is the world�s most influential ballet-maker, credited with revitalising classical dance through a series of highly individual productions. He breathes new life into Prokofiev�s ballet, weaving together an array of different styles and echoing the complexities of the composer�s score. The set, beautifully designed by Ilya Utkin and Yeveny Monakhov, transports us to the 20th century and this is reflected in the choreography�s contemporary edge, which goes from lively court dances to a stunning pas de deux between Cinderella and her prince. 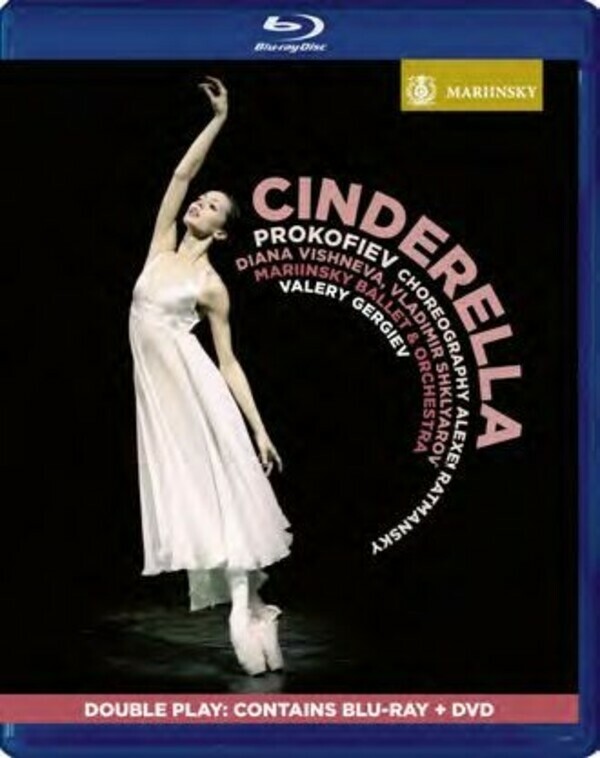 What results is a fresh and modern account of the classic fairytale, with stunning performances from both the Mariinsky dancers and Mariinsky Orchestra.